Prior to joining the Faculty of Law at the University of Ottawa as an Assistant Professor, Amy received her LL.M. from Yale Law School and her J.D. from the University of Toronto Law School. Amy has also served as a judicial law clerk at the Court of Appeal for Ontario and has practiced at a Toronto litigation boutique. Her litigation practice included a wide variety of civil and commercial litigation matters including breach of contract, tort, professional negligence, securities litigation and employment law as well as administrative law matters. In Fall 2011, she was a Visiting Researcher at Osgoode Hall Law School. In addition to legal ethics, Amy’s research focuses on gender and the law, law and technology and civil justice reform. In 2013, Amy was the Research Director for a project on ethical infrastructure in Canadian law firms that was undertaken by the Canadian Bar Association Ethics and Professional Responsibility Committee. She was also awarded the 2013-14 OBA Foundation Chief Justice of Ontario Fellowship in Legal Ethics and Professionalism (Fellowship in Studies) to study the ethical implications of lawyers’ pre-litigation demand letters. 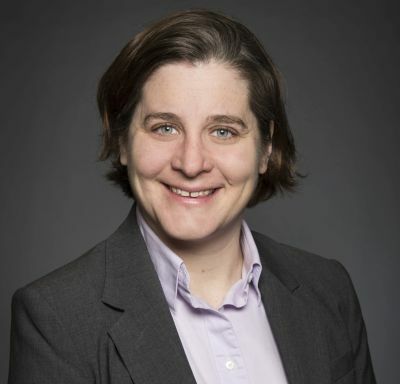 She is currently a co-investigator on a $2.5 million SSHRC Major Collaborative Research Initiative (MCRI) grant for a project titled “Repenser le droit processuel: vers une cyberjustice” (“Rethinking Procedural Law: Towards a Cyberjustice”). Amy is also a regular legal ethics columnist for Slaw.ca, a Canadian online legal magazine, and has contributed to Jotwell.com. She is currently co-chair of the National Steering Committee for the National Association of Women and the Law. Read Amy’s research on her SSRN Author page. “A Comparative Study of Attorney Responsibility for Fees of an Opposing Party” (2013) 3(2) St. John’s Journal of International and Comparative Law 71.